Beginning the first week of January, the City will begin replacing the 5th Street Bridge over Leigh Street and 7th Street Bridge over Leigh Street. Motorists and pedestrians who travel the area will be affected. While the bridges remain safe, the weight load for each bridge was reduced several years ago due to on-going wear. The $3.6 million dollar project is being funded through City and state funds. The contract has been awarded to Corman Construction. 7th Street will be closed at Clay Street to through traffic. Clay Street between 7th Street and 8th Street will be a detour route. No on-street parking will be permitted from January thru May. 8th Street between Clay Street and Leigh Street will be a detour route. No on-street parking will be permitted from January thru May. The Coliseum Parking Garage will remain open; however, access will only be granted via 7th Street or Clay Street. Cars must exit onto 8th Street. 5th Street will be closed at Jackson Street to through traffic. Traffic will be detoured to 3rd Street, south on 3rd Street to Marshall Street, east on Marshall Street to 5th Street. Leigh Street will remain closed to vehicles, pedestrians, and parking between 4th Street and 8th Street. No on-street parking will be permitted. Motorists are strongly encouraged to adhere to all detour and parking signage posted in the construction area. Additional details can be obtained by contacting the project manager, Thomas Westbrook, with the Department of Public Works, at 646-3421 or at Thomas.Westbrook@richmondgov.com. 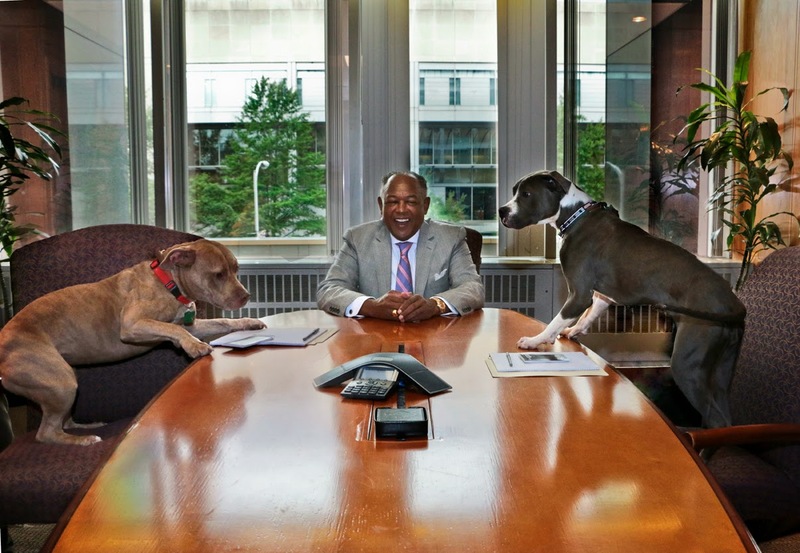 The City of Richmond’s Department of Animal Care and Control (RACC) has launched a calendar project for 2015 featuring Mayor Dwight Jones, Richmond Fire and Police officials and others. The 2015 RACC Calendar is a fundraising and exposure project and sales from the calendar will go to the RACC shelter for medical/surgery costs. Rachel Day, a recent VCU photography graduate donated her time and talent to the creation of this calendar. The RACC Calendar goes on sale today, December 10 for $10.00 each. All funds will be handled by the Friends of Richmond Animal Care & Control, a 501c (3) group in the city of Richmond. Please contact Christie Chipps Peters at christie.peters@richmondgov.com to order a copy or stop by RACC at 1600 Chamberlayne Avenue, any City Police precinct, Carytown Bicycle Company, or the City’s Department of Public Utilities office on the first floor of City Hall to pick up a few calendars while they last. RACC is the only open admission public shelter in the city of Richmond. RACC provides humane care for more than 3,000 stray, injured, lost, abused and relinquished pets a year. Winter officially began on December 21st and lasts until March 19th. During these three months Richmond residents are often faced with times of severe cold which can be accompanied by winter storms that bring snow and ice. Winter Storms are often problematic because they often result in loss of power and communication, and can immobilize an entire region. It is important to be prepared to handle periods of severe cold, snow, and ice. During winter weather events consider minimizing travel on roads as most injuries and deaths are considered secondary and are usually the result of accident or injury. Take measure to prepare both at home and on the road. Consider keeping warm clothes and blankets in your vehicle and ensure your snow shovels are readily accessible in your home. For more information and to obtain winter preparedness tips, please click here. For information of preparing for a winter storm or other emergencies visit Ready.gov. The City of Richmond announced that work is progressing on the Richmond Riverfront Plan. A top priority of the Plan is construction of the Brown’s Island Dam Walk, now known as the T. Tyler Potterfield Memorial Bridge (TTPMB). The area is regulated by the State Department of Conservation and Resources as a Low Hazard (Special Criteria) dam, and therefore all woody vegetation within 25 feet of the structure has to be removed. Since mid-November, the city and state have been working to clear the woody vegetation and to construct an access road in order to provide contractor access to the project site for the bridge construction. The dam inspection report recommended removal of woody vegetation and debris in the south section of the dam and along various piers. The tree removal work meets the Low Head Dam requirements and also benefits the TTPMB project, by providing a construction entrance that can be used by the contractor and erosion and sediment controls required for the small amount of earth (460 square feet) that will be disturbed at the construction entrance. The clearing of vegetation in this area will help prepare the area where the elevated pathway for the Potterfield Memorial Bridge will be constructed over the next year. Work on the TTPMB is expected to begin by the end of 2014, following the preparatory work. The TTPMB project has several important sustainability features, including: avoiding all impact to designated wetlands and the floodway, capturing run-off on site in bioswales, and improving water quality of run-off. More than 1,000 native ferns, shrubs, and trees will be planted as part of the project. The City of Richmond encourages people throughout the Richmond region to complete a short online survey of proposed names for the future Bus Rapid Transit (BRT) service. A list of possible names for the BRT service was developed by the Greater Richmond Transit Company (GRTC). You can help make the final decision by taking a short survey about the proposed names and you will also have an opportunity to suggest a name yourself. Click here to take the survey, now through January 1, 2015. Everyone who completes the survey will be eligible for a random drawing to receive two tickets for the VCU Men’s Basketball game on January 7 or January 10, 2015. Fourteen pairs of tickets will be given away! GRTC will unveil the name of the BRT service, logo and vehicle design in the spring of 2015. To learn more about GRTC’s BRT Service and sign up to follow BRT progress, please visit www.ridegrtc.com. RVA’s first BRT line will be along a 7.6 mile corridor between Rocketts Landing and Willow Lawn. The new service is expected to open for business in October 2017. BRT buses will run frequently and make fewer stops, serving 14 stations that offer more amenities than traditional bus stops. To improve trip times even more, riders will pay for their trip before boarding the bus, using off-board payment stations. The Richmond Circuit Court’s Adult Drug Treatment Court will hold a graduation ceremony on Friday, December 5 at 1 p.m. at the Richmond Police Training Academy, 1202 West Graham Road. The Honorable Robert “Bobby” Scott, U.S. Representative for Virginia’s 3rd Congressional District, will be the guest speaker and Dalen Harris, representing the White House Office of National Drug Control Policy will also be present to acknowledge the achievements of the graduates. The ceremony will mark the completion of an intensive 18-month outpatient program of drug treatment, probation supervision, judicial monitoring and community service for five Adult Drug Court graduates. Additionally, a special presentation will take place honoring the years of service for retiring Judge Richard D. Taylor, Jr., Richmond Circuit Court (2002-2014) and former Juvenile Court Judge (1993-2002). As one of more than 2,000 drug courts in the U.S. and one of 36 drug courts in Virginia, the Richmond Adult Drug Court serves non-violent, drug-addicted offenders with pending cases in Richmond’s Circuit Court. 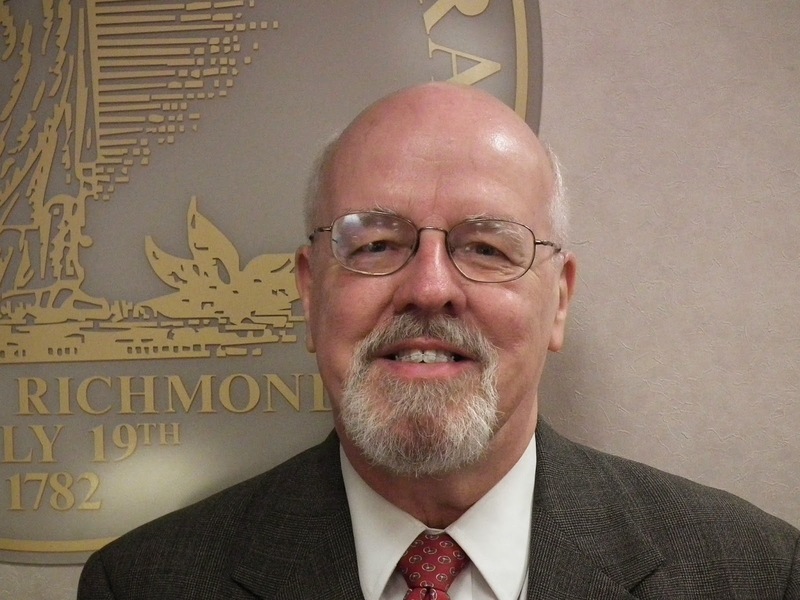 Offenders volunteer for the program and participate only after approval of the Richmond Commonwealth’s Attorney. Richmond Adult Drug Court participants enter the program with long-term drug addictions and lengthy non-violent criminal histories. More than 98% of the participants are probation violators, and do not receive a reduced or dismissed charge upon graduation. The program has been effective in reducing drug use and crime in the Richmond area, and is more cost-effective than incarceration. Drug Court graduates are employed, pay taxes and child support, and save taxpayers the costs of re-entry into the criminal justice system. For more information, please contact Tanisha Moseley at (804) 646-3655 or Tanisha.Moseley@RichmondGov.com. The city of Richmond Department of Public Utilities (DPU) announced today a 20 percent reduction in the purchased gas cost (PGC) rate charged by (DPU). This decrease comes as a result of improved price projections and increases in natural gas usage over the summer. Beginning with the first natural gas bill received in November 2014, the PGC will decrease from $0.815 to $0.650 per Ccf (100 cubic feet of natural gas). As a result, the average residential customer who uses 70 Ccf per month will pay approximately $91.99 compared to a current bill of $103.54, an 11 percent reduction in the total natural gas bill. Across all energy sectors (electricity, heating oil, propane), natural gas prevails as the most efficient and economical choice of fuel for home heating, water heating, cooking and clothes drying. DPU offers information and programs year-round to encourage customers to better manage their utility bills and seek assistance before bills become unmanageable. DPU also encourages customers to consider enrolling in the Equal Monthly Payment Plan in order to avoid large seasonal fluctuations in their monthly bill. More information about EMPP and other programs is available by calling 644-3000 or visiting DPU’s website at http://www.richmondgov.com/dpu. Work is beginning in October for the remediation and improvement of historic Ancarrow’s Landing, a key part of the James River Park System. These efforts, first announced in May of this year, are being conducted through an agreement with ExxonMobil Oil Corporation, a successor company through merger to Virginia Carolina Chemical Corporation (VCC) the entity which occupied the site from the 1920s through the early 1960s. ExxonMobil voluntarily committed to the site’s cleanup and improvement efforts through the Voluntary Remediation Program by the Virginia Department of Environmental Quality (VDEQ) in 2010, a program encouraging hazardous substance cleanups that might otherwise not take place. The Ancarrow’s Landing and historic Manchester Docks have long been thought to have excellent potential for Riverfront attractions and greater public use. The location, lack of through traffic, and limited flood protection had largely slowed efforts to improve the site over the years. The work will contribute to the City realizing the site’s potential and historical value. Although conditions on the site do not pose any risk to users of the park areas, in order to improve the quality of the site and further ensure public health, a Remedial Action Work Plan was developed and approved by VDEQ to address select soils. Approximately 5,000 cubic yards of soil will be removed during the remediation process. Clean soil backfill, topsoil, gravel and vegetation will be imported onsite and used to restore the removal areas in accordance with the restoration plan. The City of Richmond Urban Design Committee approved the work plan and restoration plans in late May. All work is scheduled to be completed by the end of the year. The City of Richmond achieved another milestone toward becoming a bike and pedestrian friendly city by adopting a Complete Streets Policy on October 13. Complete Streets is a transportation policy and design approach that helps make communities healthier, more livable, economically competitive and resilient. They are streets designed and operated to be safe, comfortable and convenient for all users regardless of age, ability or mode of travel. Adopting a Complete Streets Policy was a recommendation of the Mayor’s Pedestrian, Bicycling and Trails Commission, the City’s RVAgreen Sustainability Plan, Richmond Connects and the Green City Commission. The Policy outlines the design and construction standards for sidewalks, public ways and public rights-of-way and requires that City transportation improvement projects provide appropriate accommodations to promote safe usage for all users. James A. Jackson, Director of the Department of Public Works since February of 2011, has been appointed to serve as Interim Deputy Chief Administration Officer (DCAO) for Operations. Jackson will serve in that capacity to fill the vacancy created by Christopher Beschler being named Acting Chief Administrative Officer (CAO). Emmanuel Adediran, Deputy Director/General Services, has been appointed to serve as Interim Director of Public Works. Lee Downey, Director of Economic Development since April of 2011, has been appointed to serve as Interim Deputy Chief Administrative Officer (DCAO) for Economic and Community Development. Downey will serve in that capacity to fill the vacancy created by the departure of Peter Chapman. Douglas Dunlap, Deputy Director for Planning and Development Review, has been appointed to serve as Interim Director of Economic and Community Development. The City Administration plans to conduct a full search for a permanent replacement to fill the CAO position as well as the DCAO for Economic and Community Development. The City of Richmond would like to congratulate Rappahannock Restaurant for being named one of Esquire magazine’s 12 best new restaurants in the country as part of the publication’s 2014 Food and Drinks Awards. The City would also like to recognize Sub Rosa Bakery in Church Hill as it was mentioned in an article touting Virginia as the Food Region of 2014. These acknowledgements are one of several national acknowledgements and recognitions restaurants in the City of Richmond have received in recent months. The City’s Department of Economic and Community Development assisted both Rappahannock Restaurant and Sub Rosa Bakery by providing gap financing loans. The City has a variety of incentives and financial tools to assist businesses with their growth as they stimulate the revitalization of Richmond’s neighborhoods and promote permanent job creation for low and moderate income residents. Please call (804) 646-5633 or visit www.YesRichmondVA.com for more information on the City’s incentives and financial programs. Mayor Dwight C. Jones invites the public to join in a Day of Service and Remembrance on Thursday, September 11, 2014 in recognition of the September 11, 2001 terrorist attacks. The event will be held outside of Marshall Plaza at 900 East Marshall Street. The formal event will begin at 8:30 a.m. with the ringing of bells, color guard and moment of silence. One of the youngest first-responders at the Pentagon on September 11, 2001, Evandra Thompson will be the event’s keynote speaker. Additionally, United States Army Brigadier General Jack Haley, 38th Chief of Ordnance at Fort Lee will also bring remarks regarding preparedness. Following the formal event, there will be an opportunity to learn more about emergency preparedness with the City’s Office of Emergency Management and to tour the City’s Mobile Command Post. The Richmond Fire Department will review fire safety in the home with the use of the City’s mobile Fire Safety House. The Richmond Ambulance Authority will provide Hands-Only CPR training and event attendees will be able to pick-up a free take home kit to share with family and friends. At the conclusion of the formal program, volunteers will depart to begin work on several service projects throughout the city. Residents are encouraged to support the local community on September 11 by participating in the City of Richmond and AARP food drive. Donations of nonperishable foods will be accepted at the September 11 Day of Service and Remembrance event and prior to the event at City Hall, 900 East Broad Street; Marshall Plaza; Richmond Fire Headquarters, 201 East Franklin Street; Richmond Police Headquarters, 200 West Grace Street; East District Center, 701 25th Street; and Southside Community Services Center, 4100 Hull Street Road. All food collected with be donated to FeedMore. Scott Hetzer SVP & Treasurer, Dominion Resources Inc.
Alma Showalter VP of Tax, Dominion Resources Inc.
a) The use of third-party financing models like public-private partnerships and that can fund repairs while producing renewable energy and energy efficiency projects; the savings from which can repay the private company. b) The possible use of tax-exempt private activity bonds for the construction of school facilities that could be leased back to the school system. c) A look at available tax credits that can be utilized, at the state and federal level and a look at what changes ought to be sought to jump start the use of available tax credits; including also the possible advocacy of an entirely new education tax credit. d) Available borrowing options and the implications for the city’s general revenue fund and/or real estate tax rate. e) Possible use of capital leases whereby a private company would finance and build a school and lease it back to RPS, who would ultimately own it at the end of the lease period. The City is anticipating a formal report from the Richmond City School Board in November laying out the prioritized facilities needs of the school system. Mayor Jones indicated that it is his hope that the review of the various financing models the City may want to consider to support schools will be completed within a similar timeframe. The following routes will have significant schedule changes. Routes 24, 44, 45 and 72-73 will have Transfer Plaza Bay changes. Routes that serve the Temporary Transfer Plaza may have minor schedule changes. Please check the new printed public timetables/schedules available closer to August 24. Look for new individual route schedules on ridegrtc.com, closer to August 24, 2014, or call the Customer Service Center at 804-358-GRTC (4782). The City of Richmond is partnering with CultureWorks, the Cameron Foundation and City of Petersburg to conduct a major online survey of artists, individuals involved with arts organizations and creative businesses in the region to determine the feasibility of creating one or more multi-use arts facilities. The survey will conclude on September 5, 2014. This effort represents a collaboration of multiple partners, including The Cameron Foundation, Artspace Projects, CultureWorks, and the cities of Richmond and Petersburg. Artspace Projects, the nation’s leading developer for the arts, will use the survey to identify the types and number of spaces needed by those who are part of the area’s creative economy. The results of the survey will help Artspace Projects determine the size of the market in Richmond and Petersburg region for affordable live/work housing, studio and public space of various kinds. The survey is the second phase of a scope of work that began last year when an Artspace Projects team conducted preliminary feasibility visits in Richmond and Petersburg. If the survey identifies a market for one or more Artspace Projects developments and the community decides to proceed, survey results will inform both the project concept and site selection as well as provide data on affordability. The survey results will also impact specific design and programmatic decisions, such as square footage, parking spaces, types of shared creative spaces to include, rent levels, etc. Artists who take the survey will have the option of being among the first to be informed of project developments, including leasing opportunities. Additional information about the survey is available at www.creativespacesurvey.org, where interested artists, arts organizations and creative businesses are encouraged to take the survey. The City of Richmond recently received recognition for being a national leader in overall small business friendliness. Finishing as the 10th best city, Richmond earned an A grade for its small business friendly policies and earned an A+ for the friendliness of its licensing rules. Thumbtack, a consumer service headquartered in San Francisco, partnered with the Ewing Marion Kauffman Foundation to conduct a survey of more than 12,000 small businesses nationwide. The Thumbtack.com Small Business Friendliness Survey is the largest survey of its kind and is the only survey to obtain data from an extensive, nationwide sample of small business owners to determine the most business-friendly locations. Richmond earned an A+ for the ease of starting a business, and was the easiest place in the southern United States to start one, improving from a B+ last year. Richmond excelled in the friendliness of its licensing and its environmental regulations, earning A+ in both categories. Richmond was the 6th best city in the nation for starting a small business. The full survey results are available at http://www.thumbtack.com/va/richmond. Thumbtack.com and the Kauffman Foundation evaluated most states and 82 cities against one another along more than a dozen metrics that business owners say are critical to a friendly business environment. The full methodology paper can be found at: https://www.dropbox.com/s/b8u0zjwcc99oews/thumbtack%202014%20final%20methodology%20paper.pdf. Mayor Dwight C. Jones today announced the appointments of Norman D. Butts as Deputy Chief Administrative Officer for Finance and Debra D. Gardner as Deputy Chief Administrative Officer for Human Services. Norman Butts, previously Director of Finance for the Town of Leesburg, will begin his tenure with the City on June 23. Butts is a lawyer, accountant, educator, public administrator, and a former elected official. He has been an Inspector General, Auditor, Chief Finance Officer, Debt Manager, and a City Manager. His decade of service as Director of Finance for the Town of Leesburg has positioned Leesburg for a Triple A bond rating, up from an A1 standing when he started. His career includes being named the first Inspector General for Montgomery County, Maryland, one of the most diverse and complex jurisdictions in America. He was also an auditor in Concord, New Hampshire, where he served three terms on the City Council. In that elected office, he served as a member of the fiscal policy committee and as chairman of the ethics committee. He also served as a Debt Manager in the Commonwealth’s State Treasurer’s office when Jerry Baliles was Governor of Virginia. As the City’s DCAO for Finance and Administration he will be responsible for the Departments of Finance, Procurement, Human Resources, Budget and Strategic Planning, and Information Technology. Debra Gardner, previously Chief Deputy Director of the Virginia Department of Corrections, begins her term with the City today. Gardner has career-long success as a public administrator, corrections professional, justice services administrator, intervention specialist, and a prevention expert. She began her career as a social worker and she has a background in drug treatment, substance abuse, domestic violence prevention and foster care. As Chief Deputy Director of the Virginia Department of Corrections, she shared oversight of more than 12,000 employees in 94 operational units, with an annual budget of $1.3 billion. Her career includes helping to establish the Commission on Virginia Alcohol Safety Action Program, where she ultimately served as Executive Director. As the City’s DCAO for Human Services she will be responsible for the Departments of Social Services; Justice Services; and Parks, Recreation and Community Facilities; the Mayor’s Youth Academy; the Neighbor-to-Neighbor Volunteer Initiative and the new Mayor’s Office of Community Wealth Building. 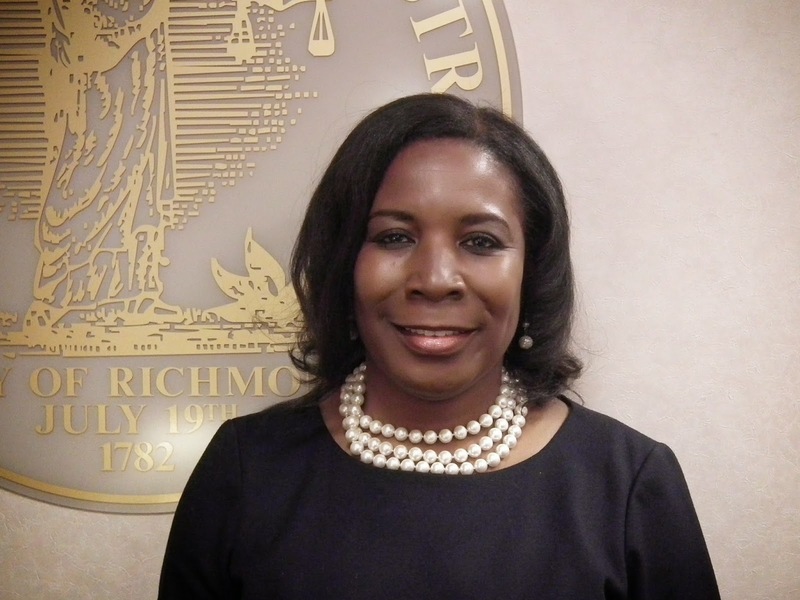 She will also serve as the City’s liaison to Richmond’s Public Libraries, Richmond Behavioral Health Authority and Richmond City Health District.